-	All Sponsored/Added Winnings external to Prize Pools are not included in point computation. *SnGs from LWPS X and LWPS XI are included in computation. 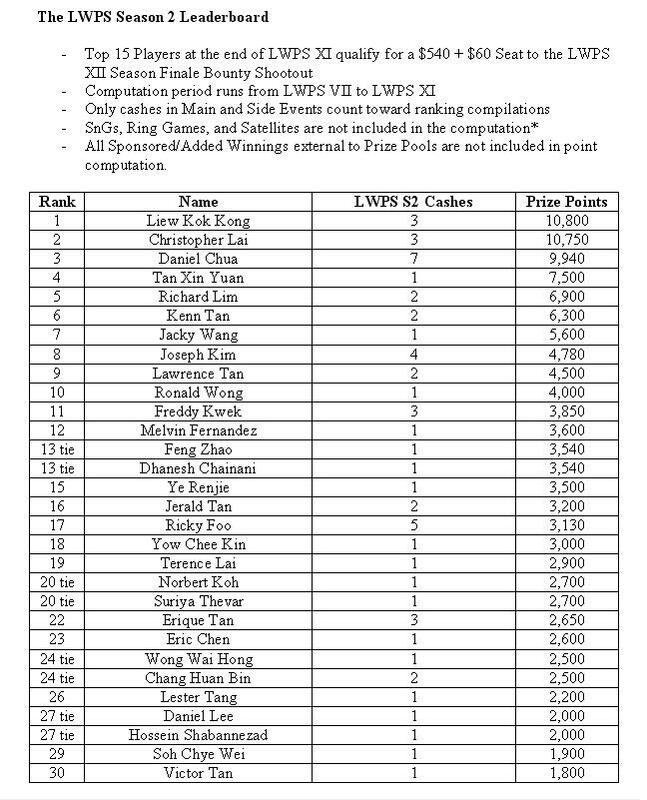 Cashes for Main and Side Events during LWPS X and XI awarded double points. what if in the event of a tie? 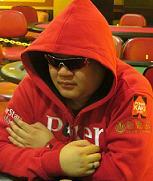 in the event of a tie, there will be a live draw between the tied players before the Bounty Shootout commences. tied players however, must be present to be able to participate in the draw. leaderboard updated as of today. respond to this thread if you require any corrections. do you have pictures from the event? Lol i think u made a mistake in the greed event champion in ur publication.. Its Feng Zhao who won it, currently states Daniel Lee. btw its Dhanesh here. haha. hai... dropping down the leaderboard again..
wow. exciting conclusion to the series.